Newcomer Leesa continues to shake up the mattress world. Like many of its competitors, Leesa sells memory foam mattresses through their online stores, which are shipped directly to customers’ homes packaged neatly in a compression box. Leesa mattresses range from around $500 to around $1000, and have been reviewed favorably alongside their “bed-in-a-box” peers. Where Leesa stands out, however, is in their commitment to ethical practices and giving back. Leesa does this through a revolutionary “social impact program” which helps give free beds to those who need them most. Leesa’s social impact program gives away one free mattress for ever 10 mattresses the company sells. The mattresses go directly to various nonprofit agencies which help house and aid homeless populations. Many of the Leesa mattresses are sent to homeless shelters, ensuring vulnerable populations can get a good night’s sleep when they need it most. To date, Leesa has given back around 22,000 mattresses as part of their social impact program. After Hurricane Harvey recently devastated Houston, Texas, Leesa donated 500 mattresses to Houston-area shelters. Even more impressive, Leesa plants a tree for every single mattress it sells. So far, that has meant 135,000 new trees have been planted as a result of Leesa’s commitment to giving back and being a steward of positive social change through entrepreneurship. That commitment is so pervasive throughout Leesa’s company culture that cofounder and CEO David Wolfe puts prospective employees’ social values at the forefront of job interviews. Wolfe asks only two questions: “When did you first see social injustice in your life?” and “How did it make you feel, and what did you do about it?” Leesa’s Wolfe believes these questions can help find employees who don’t just want a job, but want to change the world through their work. 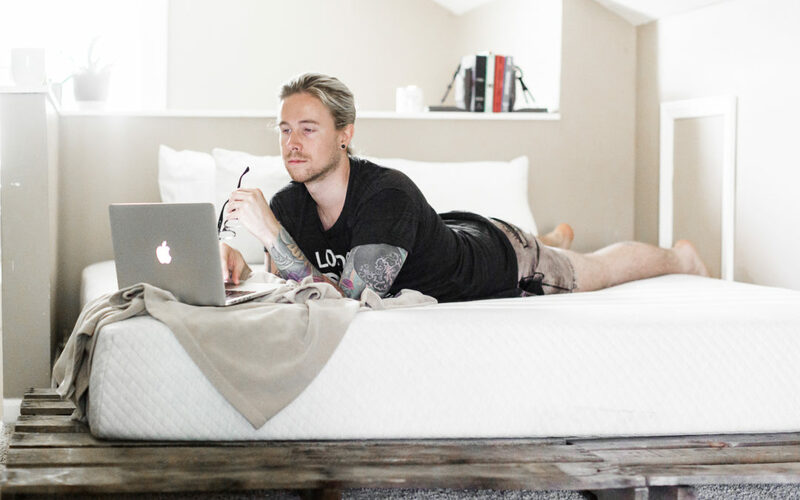 So far, the strategy of using their business to give back has paid off, making Leesa one of the top mail-order mattress companies in the quickly-expanding market. Predicting whether or not that commitment pays off in the long run is trickier due to the high-volume of newcomers and startups who are crowding the bed-in-a-box market. Can mattresses be a vehicle of social change, and do customers actually care that much about where their money ends up?